A blog post by Director of Learning and Visitor Engagement Ilene Dackman-Alon. To read more posts by Ilene click HERE. A few months ago, a report came out that more than one-fifth of millennials in the US, (a person reaching young adulthood in the early 21st century), haven’t heard of or aren’t sure if they’ve heard of the Holocaust according to a study which was commissioned by The Conference on Jewish Material Claims Against Germany. Additionally, 41 percent of millennials believe two million Jews or fewer were killed during the Holocaust; and two- thirds of millennials could not identify in the survey what Auschwitz was. According to the news release on the findings, the survey found critical gaps both in awareness of basic facts as well as detailed knowledge of the Holocaust. 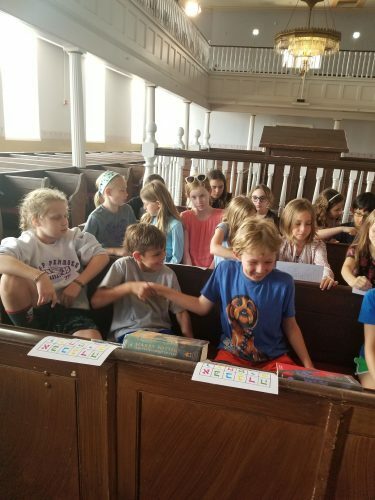 I was a little surprised by the report, as I see Holocaust education as one of the primary topics that we focus on at the JMM, with many teachers choosing to bring school groups to learn about our historic synagogues, Jewish customs and see our exhibitions that are related to the theme. 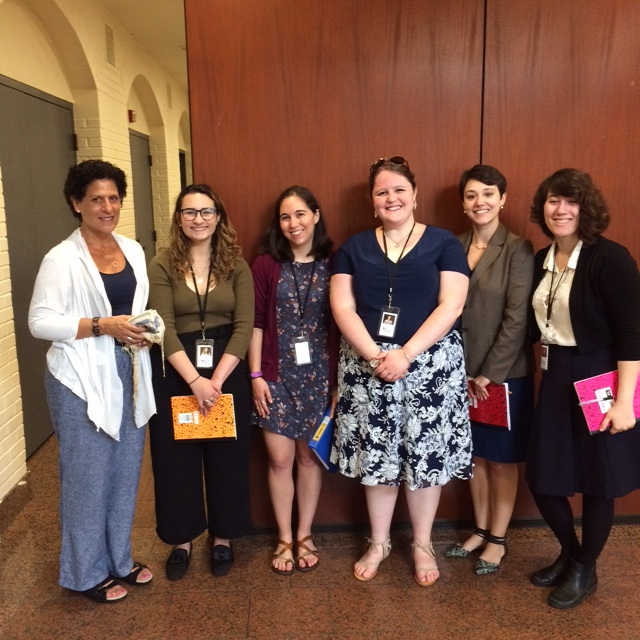 In addition, every summer we offer a three- day workshop, Summer Teachers Institute, which provides educators with tools and resources on the best practices in Holocaust education. Yesterday, I was very happy to see that the study was WRONG! We had a school group from DC public schools visit the Museum. The teacher was previously a Baltimore City Public School teacher who was very familiar with our education program. Her students (3rd to 5th graders) had just finished reading, Number of the Stars (1989), a work of historical fiction by American author Lois Lowry, about the escape of a Jewish family (the Rosens) from Copenhagen, Denmark during World War II. The story centers on ten-year-old Annemarie Johansen, who lives with her family in Copenhagen in 1943. When the teacher made her reservation for the field trip with Paige, JMM’s very capable Visitors Services Coordinator, the teacher knew exactly what she wanted her students to take away from their visit. 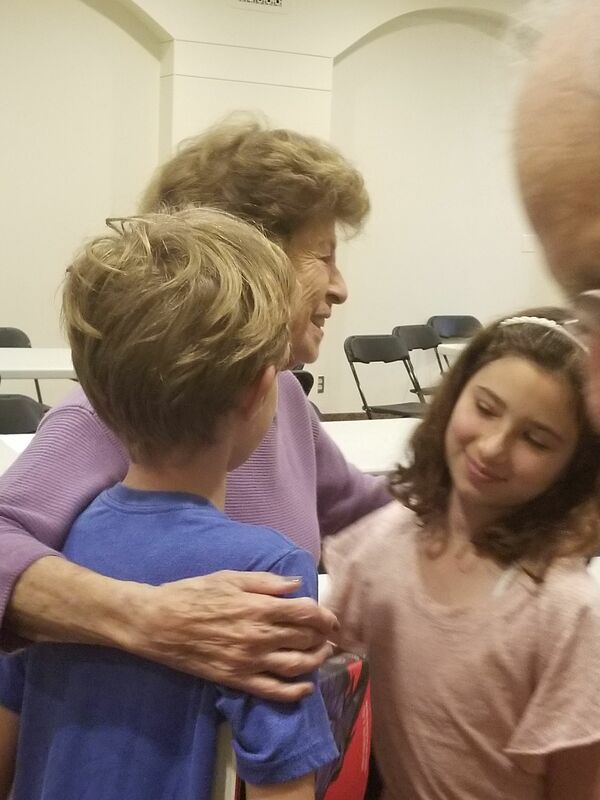 She wanted her students to learn more about Judaism and visit the historic Lloyd Street Synagogue; she wanted to have her students participate in one of our most popular education programs, Lives Lost: Lives Found: Baltimore’s German Jewish Refugees 1933-1945; and she contacted the Baltimore Jewish Council so that the students could hear personal testimony from a survivor of the Holocaust. The students’ visit was perfect timing, as it was the second day for our summer interns, and I felt that having the interns observe the school group, would help the interns see first-hand, the education program in action at the JMM. The students from the DC public school were fabulous. They were engaged in the archival activity program relating to the Lives Lost: Lives Found: Baltimore’s German Jewish Refugees 1933-1945; exhibition. The students loved seeing the Lloyd Street Synagogue and loved learning how to read the Hebrew Alphabet. 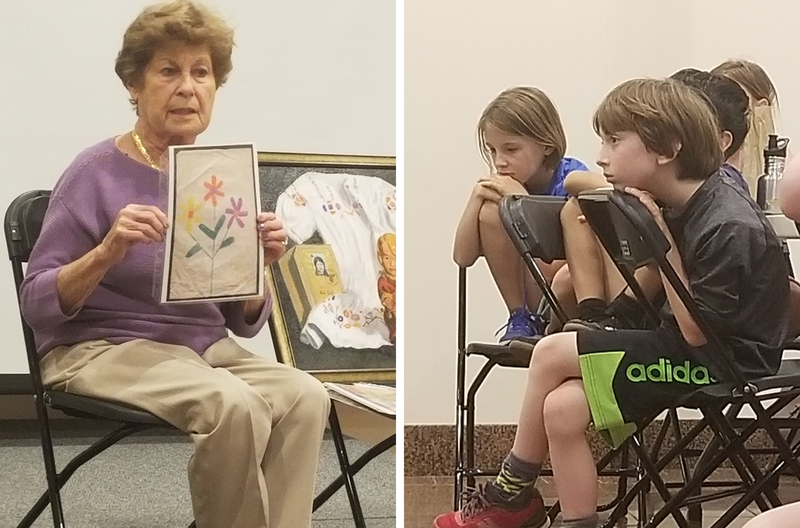 The most profound part of their time at the JMM was watching the students as they listened very intently to the testimony of Mrs. Herta Baitch, who told her story of coming to the United States as a child with the German-Jewish Children’s Aid Society and moving in with a foster family here in Baltimore. Following Herta’s testimony, the children had the opportunity to ask questions, many of them thoughtful and also amusing. After a lot of clapping, the children literally got themselves into a receiving line, and each student went up to Herta to thank her and hug her. It was such a spectacular moment! Our education department is very proud that these students had such a wonderful engaging field trip experience yesterday, and hopefully that experience we offered will make the students better citizens and future leaders to ensure that our history and the Holocaust will never be repeated again. Registration is now open for our 2018 Summer Teachers Institute – you can find more information and the registration form here.